By the motorway A35, take exit n° 7 and stay in the left lane, towards Fegersheim / Erstein. After the TOTAL station: at the Fegersheim stoplight take a right. At Lipsheim, continue in the direction of 'Stade Tennis'. 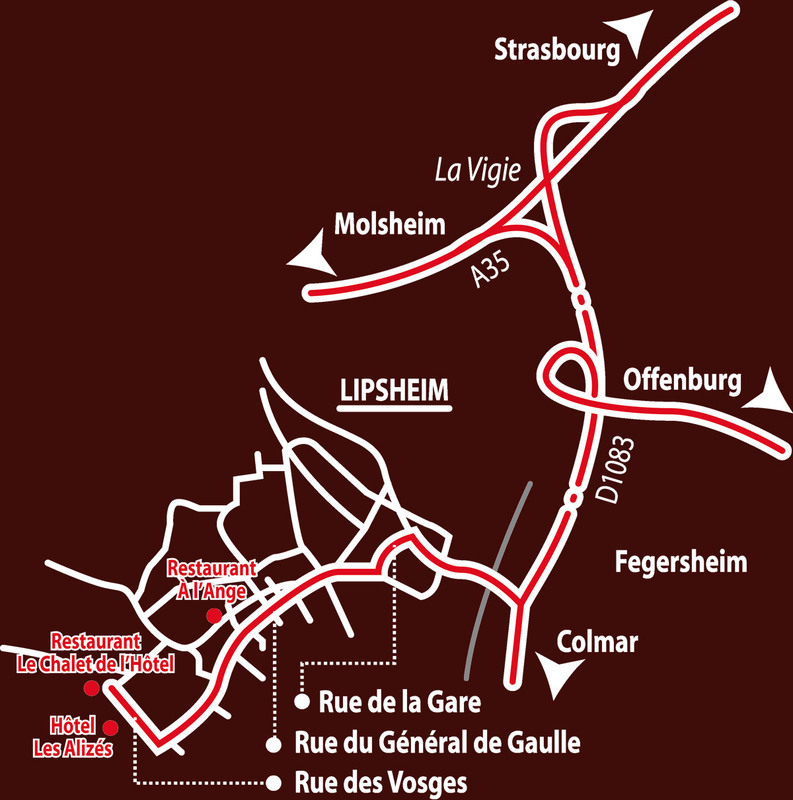 At the Sélestat bypass, take exit n° 14 towards Kogenheim / Erstein and stay on the express road for 20 km. After the Shell station, at the stoplight, turn left.